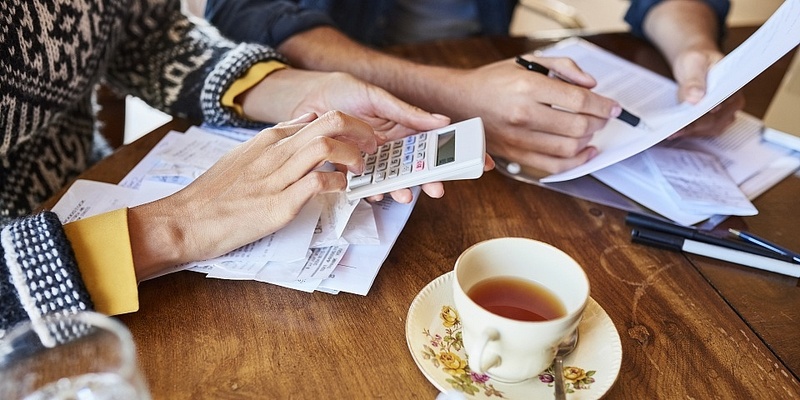 The taxes landlords pay have undergone a raft of changes over the past two years, meaning that working out how much you owe can be the most complicated part of letting out property. Your tax return for 2017-18 is due on 31 January 2019, so it’s important to get your head around the changes now, from scaled-back mortgage tax relief to the withdrawal of the wear and tear allowance. Below, we outline the most useful things to know about tax on rental property and explain how to file your tax return this year. Our tips assume you own the properties as an individual, not a limited company. Starting from the 2017-18 tax year, landlords can calculate their profits on a cash basis – meaning your tax bill will be based on how much you actually receive in rent during the year. Previously, your profits were meant to be based on incomings earned in the tax year, regardless of whether that money was actually received. This meant if a tenant failed to pay rent, that amount could still be counted as an incoming (though you could eventually write off bad debts as losses). The cash basis is likely to be simpler for most landlords, and can be used by any individuals or partnerships with an income of less than £150,000 in the year. In a bad year, you might spend more than you receive in rent, or lose money on a property sale. While this might hurt, you can soften the blow by carrying that loss forward to a new tax year when your profits are higher. Just keep in mind that you need to apply the losses to profits earned from your rental business – so if you own more than one rental property, you can apply losses on one property to profits on another, but you can’t use losses to offset income from other sources such as your salary. The 2017-18 tax year introduced a new £1,000 allowance for property, but it’s not as straightforward as it seems. If you earned less than £1,000 from your property, the new allowance means you don’t need to declare it to HMRC. But if your income is higher, you need to decide whether to apply the allowance or not. If you choose to apply it, you won’t be able to claim expenses or capital allowances. This could be worthwhile if you spent less than £1,000 in this tax year, but otherwise, you’re probably better off ignoring the allowance and claiming expenses instead. An increasing number of landlords are now required to be licensed – both due to the reclassification of Homes in Multiple Occupation, and because councils are introducing their own schemes. While the costs can be hefty, you can generally deduct them from your profits as a legitimate business expense. As of 6 April 2017, landlords travelling to their properties can claim mileage rates for these journeys – meaning this is the first year you can include this in your tax return. Previously, you were only able to claim actual motoring expenses and needed to keep records. Now, you can choose which method to use. You can find out more about mileage rates in our guide to tax-deductible expenses. Until recently, landlords were able to deduct the interest on their mortgage from their income. But as of 2017-18, this relief has been cut down, so that you can only claim 75% of your interest. This will continue to decrease before being scrapped altogether in 2020. Instead, you’re able to claim a 20% credit towards your mortgage interest costs on the remaining 25%. This means basic-rate taxpayers will essentially end up paying the same amount, but higher and additional-rate payers will take a hit. Keep in mind that these changes apply to all ‘financing costs’, including any mortgage fees you need to pay. You can find out more in our guide to mortgage interest tax relief. Are you looking to buy or remortgage a buy-to-let? To find the best mortgage for your circumstances, call Which? Mortgage Advisers on 0800 197 8461. If you pay for cleaning, gardening or other maintenance to your property, you can deduct these costs from your profit. However, if the tenant pays you a fee for these services, that counts towards your income – and the two will often cancel each other out. Since 2016-17, you have no longer been able to rely on the wear and tear allowance, which allowed you to deduct 10% from your net rent on a furnished property. Instead, you may be able to deduct the cost of replacing domestic items in your furnished let, including furniture, furnishings and appliances. The new relief only applies to items you’ve replaced, not new things you’ve decided to add to the property. And you can only claim like-for-like expenses – so, for example, if a replacement sofa would have cost you £400, but you opt for a £600 sofa bed, you could only deduct £400. For the 2017-18 tax year, the capital gains tax allowance was set at £11,300 – up from £11,000 in the year before. That means you can earn a profit of £11,700 before paying CGT. The amount of capital gains tax you pay on property is higher than what you pay on other assets. Basic-rate payers will pay 18% on profits from property (versus 10% on other assets), while higher or additional-rate payers will pay 28% (instead of 20%). You may pay less CGT if you lived in the property before renting it out. We explain how the private residence relief works in our guide to capital gains tax on property. If you renovated the property, built an extension or otherwise improved the property while you owned it, you may be able to reduce your bill. Work out how much profit you made from the asset, then deduct the amount it cost you to buy, any selling costs and the amount you spent on improvements. What’s left over will be your ‘taxable capital gain’ – the amount you’ll pay tax on. To file your return, you’ll need records of the dates you let the property, the rent you received, income from services, and expenses you’re claiming. This could include rent books, receipts, invoices and bank statements. You should keep your records for at least 22 months after the end of the tax year the return is for, meaning you’d need to keep your 2017-18 records until the end of January 2020. But HMRC can investigate your affairs for up to four years, and longer if it believes you were careless or deliberately misleading it. So it’s worth hanging on to records for longer, just in case. Your tax return is due at midnight on 31 January, less than four days away. If you submit even a few minutes late, you could be hit with an automatic £100 fine, which increases for every day you’re late, so it’s worth making sure you submit on time. An online tax calculator can help guide you through the process and provide tips along the way. The Which? tax calculator offers an easy-to-use, jargon-free way to tot up your return and submit direct to HMRC. Try it for yourself at which.co.uk/taxcalculator.